The Assassination Game @ Lungfishopolis – How to do assassins well as PCs or NPCs. My Home Brew Old Hack: What about Assassins? Need them or not? @ The Geek Life Project – Grogtard talks about his OSR homebrew game and whether assassins should be a class. Grupo de Asesinos @ El Hacedor de Dados – Talks about the assassin theme, in Spanish! Asesinos @ Laboratorio Friki – And Spanish blog post about assassins. Also check out their second post for the carnival, Asesinos, como encajarlos en una partida. Almas Blancas/White Souls @ La Choza del Friki – Another Spanish post that picks up the gauntlet. Assassins in RPGs – Character Class or Character Type? @ Roleplaying Market – Looks at an alternate idea of what an assassin class could be. I agree. RPG Carnival: Gremio de Asesinos de Canalburgo @ Los chismes del Narrador – Another Spanish blog, with a first-time entry in a blog carnival. Assassins @ Board Enterprises – Asks who is the most useful assassin-type in games. 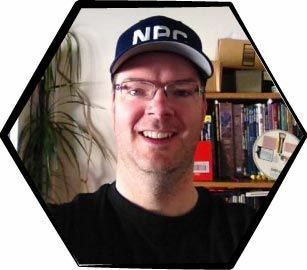 RPG Blog Carnival: Character Types – Part 17 – The Assassin @ Reality Refracted – Talks about running assassins as a GM and playing them as a player. just a job to do @ Fame & Fortune – Offers three historical iconic assassins. Inspirational Viewing – The Mechanic (1972) @ Sea of Stars RPG – Reviews the Bronson Classic about a professional world-weary killer. Aptitud de asesino @ Detras de la Pantalla – A Spanish post the covers the assassin class plus another post about an unexpected type of killer. Roleplaying Tips offered two articles on the topic – How to Contact and Hire an Assassin and 5 Effective Combat Tactics For Assassins. Roleplaying Assassins: An excerpt from Assassins Amulet. Thanks to everybody who contributed to the RPG Carnival. I hope you had a lot of fun writing about this classic game element. Be sure to head over to October’s carnival, Making The Loot Part Of The Plot.